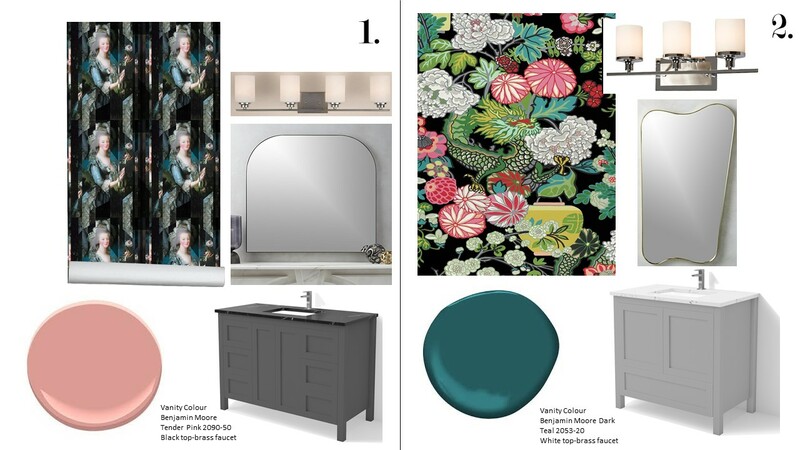 I adore the looks in these two bathrooms and hope you will too! 1. 2019 is the year of “more is more”! 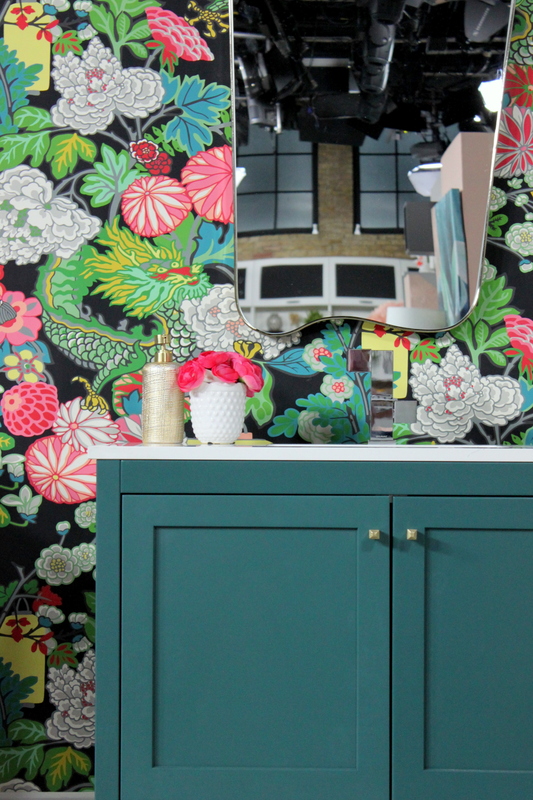 We are embracing creative diversity and choosing to live with more pattern and colour then we have in past years. 2. Although we all appreciate a spa bathroom- bathrooms can also be the perfect place to take a little design risk. They are smaller spaces that we are in and out of quickly so we can indulge in more pattern. 3. 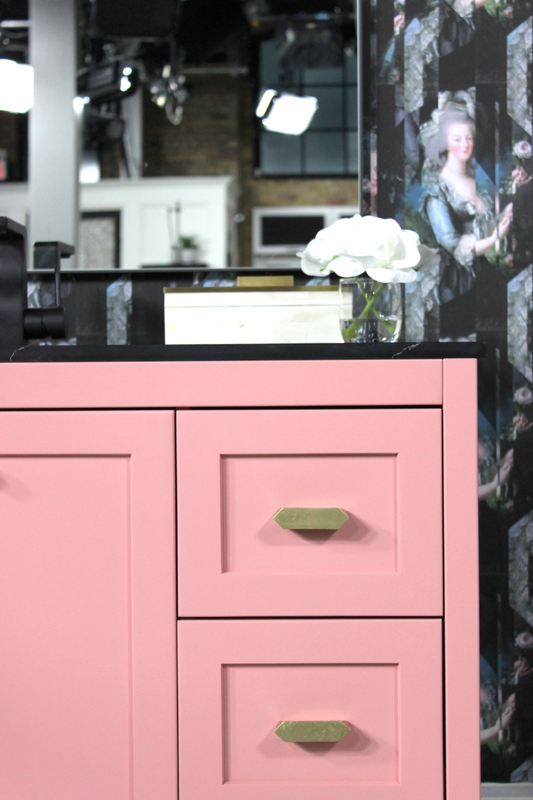 A custom painted vanity is great way to add character and luxury to a bathroom. 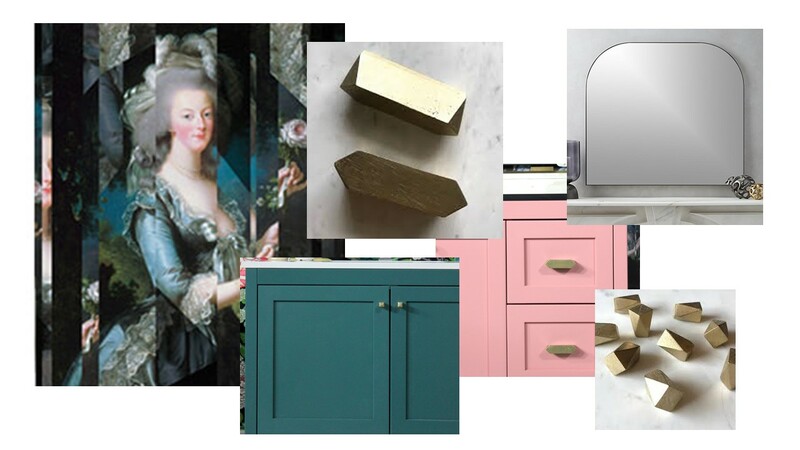 Blush shades continue to be hot for 2019- why not consider this tone and balance it out with dramatic blacks and marble counters for a sophisticated look. 4. Don’t be afraid to mix metals and various shades, have fun and experiment. Order wallpaper samples and choose your favourite. 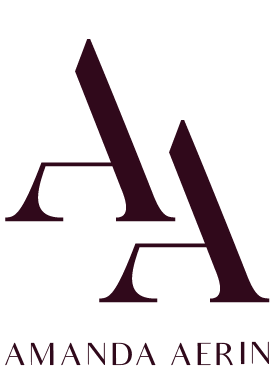 Lots of great online sources at all different price points. There is also online wallpaper calculators. 5. Another great example of a strong trend for 2019 is whimsy! Get a little cheeky with your decor, incorporate design elements that make you smile. 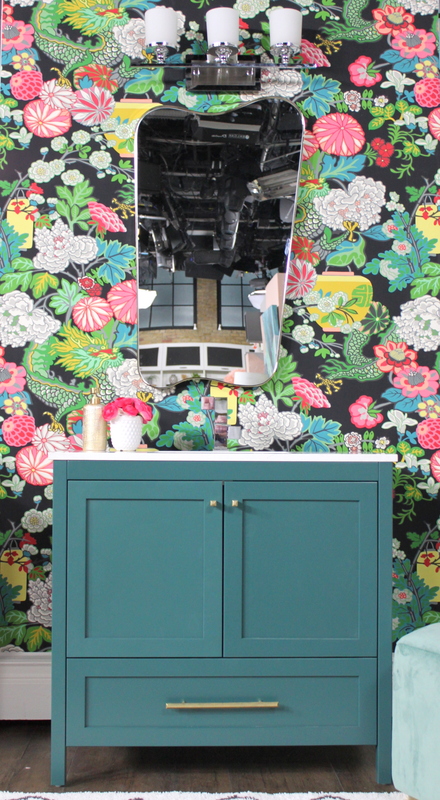 A powder room is the perfect place to try out a fun wallpaper. 6. Rich tones for 2019 are the perfect compliment to the neutrals we already have in our homes and green/blues coordinate with almost any style. 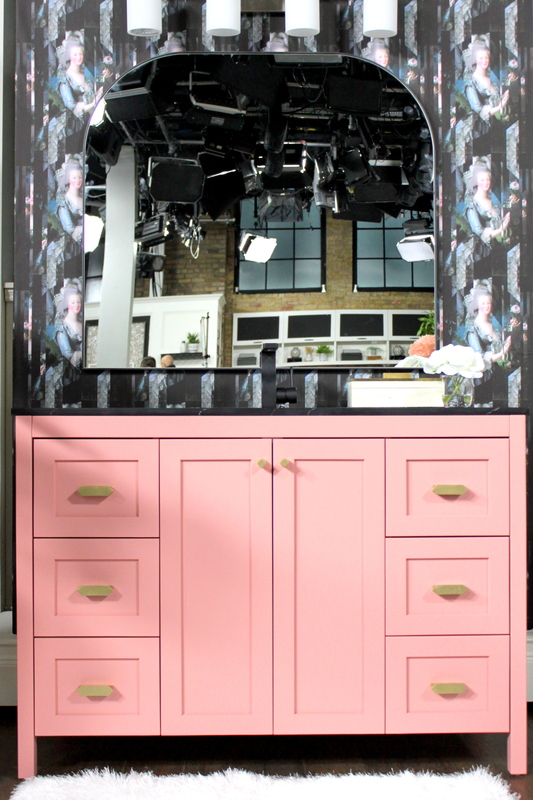 Choose the boldest colour from your wallpaper pattern for your vanity to create a custom look.